Not only are we Trekkies and Scoobies, we’re also Faire nerds. This happened by accident. I am a musical theater nerd. In college I worked at a wonderful place on Martha’s Vineyard called The Children’s Theatre. It was amazing for many reasons, but in short, it was a place where island kids could go in the summer and participate in real theater. I got to teach and write and act and direct and fold programs and date actors. I also got to meet some really cool kids. One of those kids grew up and got a job at the New York Renaissance Faire, so I packed up my family and went to see him. The Kid loved it so much we’ve gone back every year since. 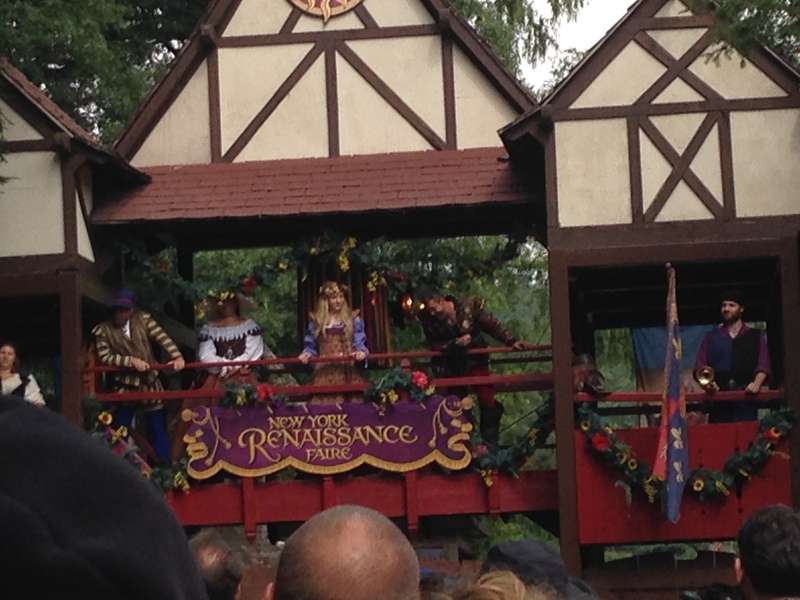 The Faire is a special kind of nerdland. Cosplay takes on new meaning, as there are actors everywhere who are paid (and some volunteer) to cosplay, as well as people dressed in “garb” just for the fun of it. Kid noticed this year that some people spend a lot of money and time on their garb. She’s starting to get an idea of what it means to wear these complex costumes. 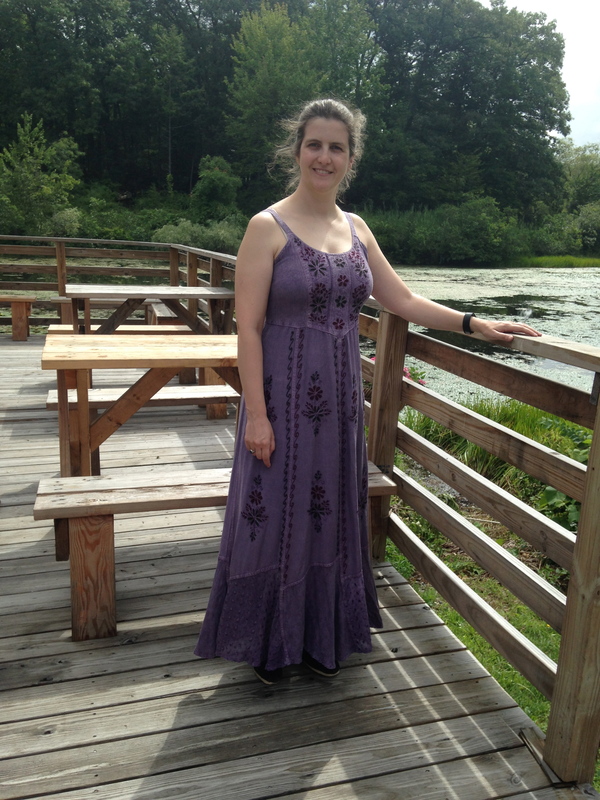 I wore a dress that the Kid would describe as “Renaissance-y.” It was a bit more fun than just wearing shorts and a t-shirt, but I wouldn’t call it garb. 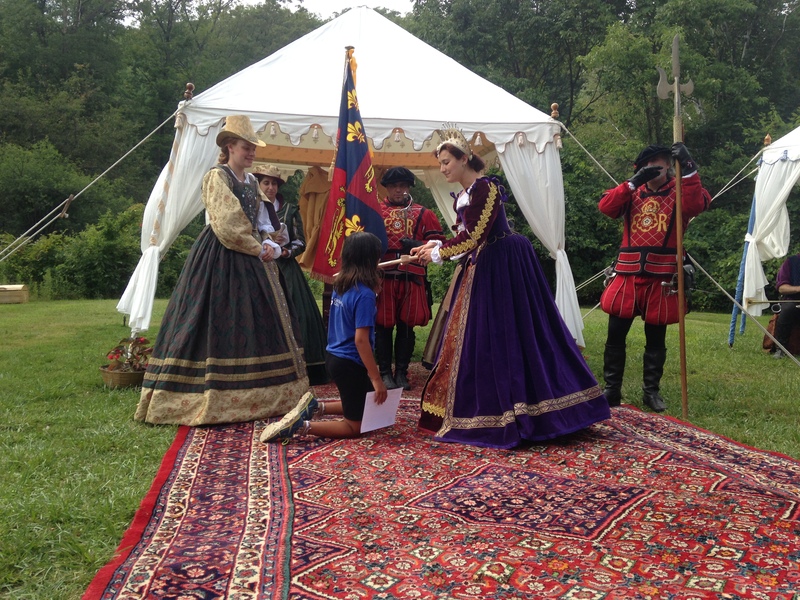 and she was knighted by the Queen. These are things she wouldn’t have done when she was younger (except when my friend was Robin Hood–that was okay, because I knew him. She’s never met him outside of the Faire, but somehow the fact that i knew him made a difference.) 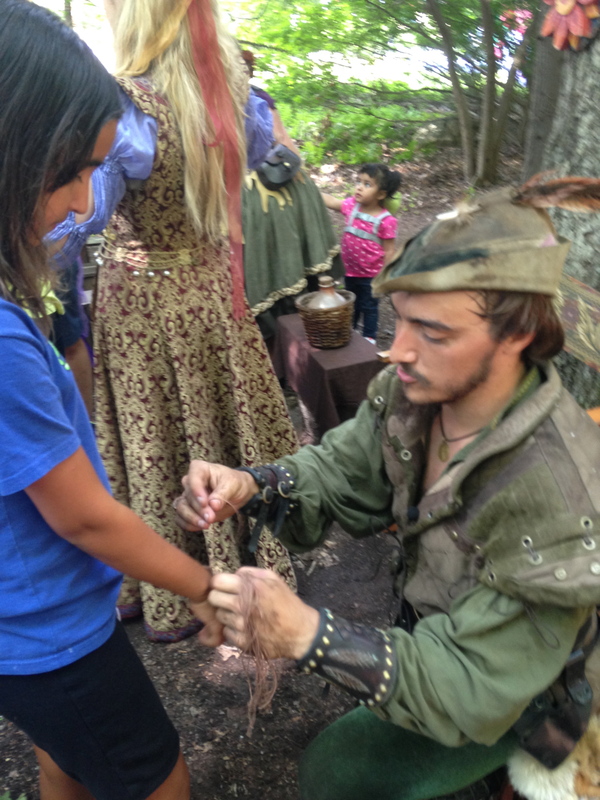 Over the years, she’s become interested in different aspects of the Faire–the fighting, the fairies, the shopping, the food–but she really loves the routine of it. The Robin Hood story, the Queen, scheduling in her favorite foods, rolling her eyes when KPD and I kiss on the Kissing Bridge, checking out the shops. 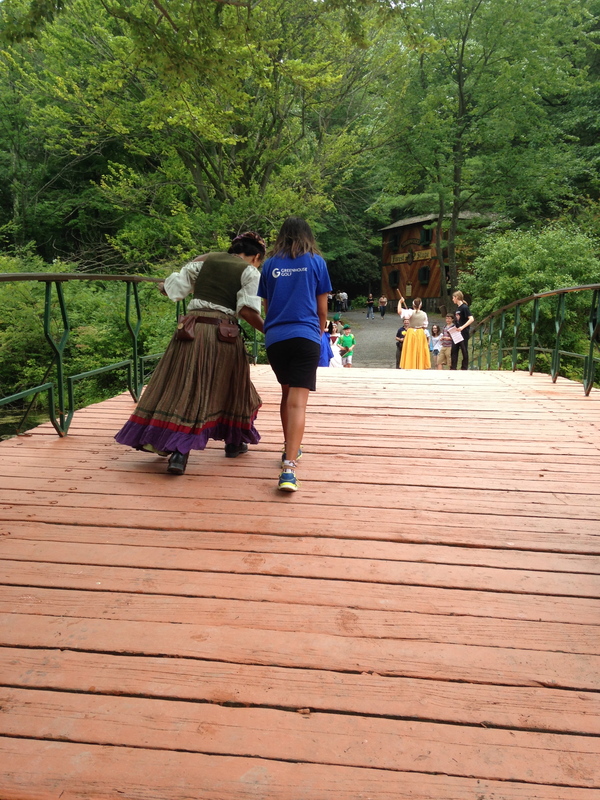 Actually, I have no idea what the Kid is learning from the Renaissance Faire. But we have a great time every year, and fun family time is a good thing. Especially when it’s nerdy fun.